We at Cosmikids believe that children learn best when they play. Education comes along with their development stages. 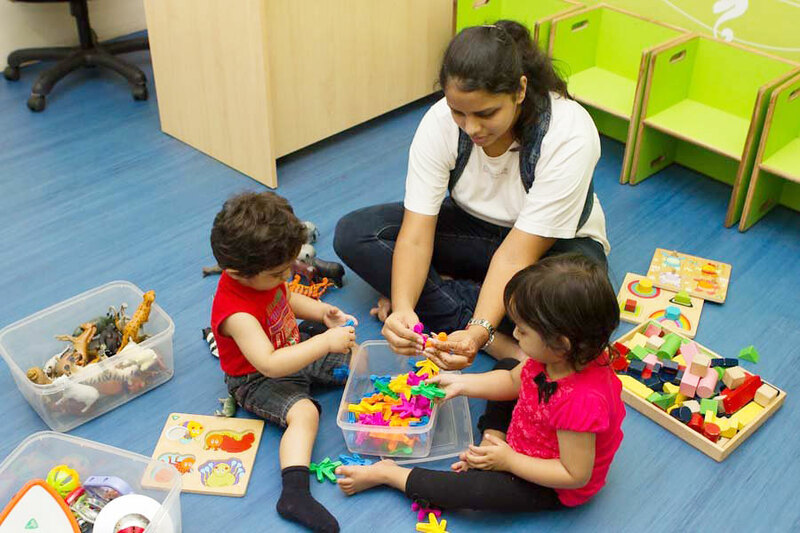 At every age they develop their language skills, fine motor & gross motor. A lot of importance is given to develop their cognitive skills and logical thinking. Every child learns at his own pace. So at Cosmikids we give individualized attention to bring out the best in the child and teach the child the way he wants to learn. In playschool, we follow weekly topics which are taken from their day to day environment. We gradually move from simple topics to complex topics, E.g. – we start with myself first and then move to pet animals, plant life, etc. On regular basis besides the weekly topic we cover language skills, math skills, readiness skills, science and sensorial. • Clay moulding, block play, peg boards, puzzles, threading etc. • Scribbling and coloring with chalk on slate, crayon on page.